This was our best vacation yet! First off, Jill was absolutely amazing! I was so pleased with the copious amount of information she provided about the area. She provided information regarding hiking trails, restaurants, wineries and must see sites. Not being familiar with the area, this information was so valuable. The cabin and area itself was nothing short of perfect. You are guaranteed to have some of the most amazing views while driving due to the cabin being located off of the Blue Ridge Parkway. The cabin was secluded with it’s own beautiful views of the mountains, especially from the hot tub. The kitchen was fully stocked, the beds were comfortable, and you instantly felt at home. You can tell that Jill strives to have her guests feel at home by the decor and small touches she has added. 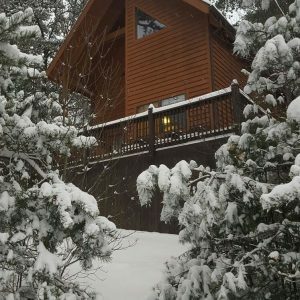 My husband and I are already planning our next trip back to the mountains and cannot wait to rent this cabin again!